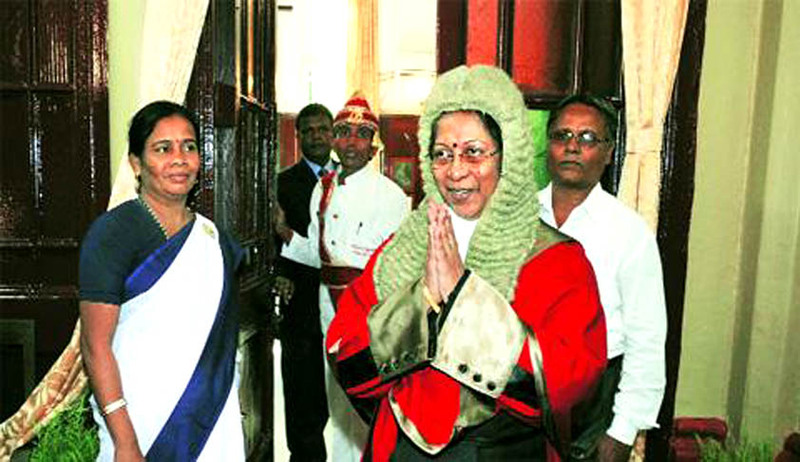 Justice Manjula Chellur, on Aug 6 2014, sworn in as the first woman chief justice of Calcutta high Court. The oath ceremony was presided over by Governor of the state Keshari Nath Tripathy at Raj Bhavan in the presence of Chief Minister Mamta Bannerjee. Justice Chellur thereby became 37th of Calcutta High Court. she replaced justice Arun Kumar who is elevated to Supreme Court. After Oath Ceremony, Justice Chellur in a short Speech referred to her personal fondness for rich heritage of the state. She also expressed thanks to Chief Justice of India for appointing her as the Chief Justice of Calcutta High Court. The ceremony was felicitated with the presence of Law Minister of the State Chandrima Bhattacharya, Speaker of Assembly Biman Bannerjee and large number of lawyers of Calcutta High Court. She was born on Dec. 5, 1955 and Started her career as an Advocate in Bellary before appointed as a Session Judge in 1988. She then became the first female judge of Karnataka High Court in 2000. She was appointed as Acting Chief Justice of Kerala High Court in 2011 and served as Chief Justice of Kerala High Court since Sept. 2012. While at Karnataka High Court, she was also the president of Karnataka Judicial Assembly for two and Half years.